The first president of Rotary Club was Ljiljana Zumbulović. Since then until this day the presidents were: Vojkan Vuletić, Vlastimir Vuković, Natalija Marko, Siniša Soro, Vesna Latinović, Milan Dimitrić, Marin Barjaktarović, Marko Putnik, Dinko Gruhonjić and Tibor Klozi. 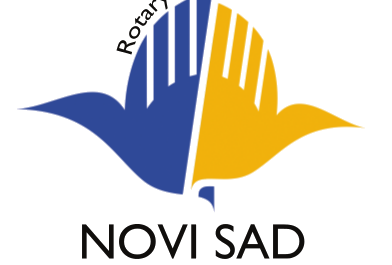 Rotary club Novi Sad – Dunav during the year implements several actions, with a focus on our traditional cooking contest Rotary (“Rotary Food Contest”), which is held every Rotary year, on the second Saturday in June. Since the Rotary year of 2013/2014 we established the fall campaign Night talents (“Rotary Talent Night”), which is dedicated primarily to young and talented people, who are in Serbia, unfortunately, very often on the margins of the society. All our former presidents have won the prestigious Rotarian award “Paul Harris”. Many of our members were and still are members of the district leadership team. We are proud to selflessly serve the local community in accordance with the primary motto of the Rotary movement.